Why should you invest in the stock market? No. Never. Are you CRAZY???? It’s a Gamble!!!! I don’t like to take risk. I’ll rather put MY MONEY, in MY PIGGY BANK. 1. High Returns : Taking the long term and an extremely conservative perspective, we have to agree that there can be no other traditional methods of investment which yields higher returns than the Stock Market. Lets say you invested Rs. 1 Lakh in the stock market in the year 1990. If you would withdraw that money today you’ll get some Rs. 26.5 Lacs (Sensex touched 1000 points in 1990, and it’s at 26500 points today). So your investment has swelled up by 26.5 times in 24 years, just by sitting on your investment. Tell me which traditional source of investment gives you this kind of return? FDs??? OR ULIPs ??? OR PPF ??? OR Govt Bonds??? OR your favourite Mutual Funds(Which anyways invest most of the money in the Stocks)??? Let’s take a very rosy picture of your investment where you earned a constant 12% return on your investment, COMPOUNDED annually. The Same money would have fetched you just a little more than Rs. 15 Lacs. And mind you my dear friend, this is a very high constant rate of return for any other type of investment where you just sit on your money. You can counter me, saying property can be a good investment. Yes, infact it is an excellent investment. No doubts about it. But then you’ll have to do a lot of brainstorming. Invest your money in interiors of Rajasthan, OR invest in Gurgaon OR Delhi. But again than investing in reliance and Infosys and ITC would have fetched greater returns. Here we are talking of Sit on your Money, Apply no Brain Investment. J . And Stock Market gives a superior return, is a no brainer. 2. Highly Liquid Market: For friends, who might have doubts about investing in land is better or stocks, this point will clear your doubt. Stock Market is a highly liquid market. You will always have an option to sell your stocks instantly, in case you need money in some urgent situation. In case of land, you will have to find a buyer who can give you your desired amount for your land. Remember the buying and selling rates of land vary a lot. This delay in searching a good buyer itself defeats the whole purpose of needing your own money urgently in times of need. Same is the problem with other types of investments. Remember breaking FDs in times of need. OR paying the exit load to the Mutual Funds Company. Restrictions on PF and Bonds. 3. Added Incentives: This is a supplement to the first point mentioned above. We need to keep in mind that companies also give regular dividend and bonuses to their stockholders. So if we add that also to the 26.5 times return we calculated above, we are in for a very very handsome bargain. Looking like a lucrative preposition already? Wait my friend, there is more to it. 4. 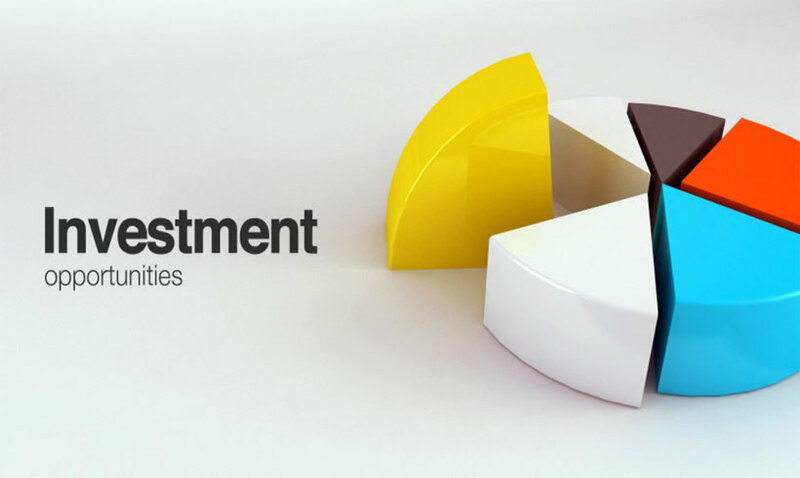 Opportunity to reinvest : Best part about investing in stock market is, even if the market falls, and prices of stocks come down, it is still not considered as a threat but rather an opportunity to reinvest at lower rates. This helps to bring down the average price of purchase and thus leads to overall increased ROI. Thus investment in stock market always provides you with opportunity to earn greater profits. 5. No minimum investment required : Unlike other lucrative investment options like investing in land, where we need to make heavy investments and thus tend to be a burden on us or work as a deterrent in investing, stock market poses no such problems. You are free to invest whatever amount you can spare for investment. You are in control of your money. 6. Advantage of investing for short periods of time : This feature makes stock market, perhaps the most sought after investment option. User has the liberty of not only long term investment, but also short term and intraday (buying and selling on the same day) trading. It gives you a chance to exploit the market conditions in short term scenario and make quick money. Stock market not only helps to fulfil your long term investment goals, but also take care of your short term investment needs. 7. Flexibility and ease of investing : Investing in stock market is the easiest, least time consuming and No pain in neck type of investment. All you need to have is a demat and bank account. In today’s world with online trading at your fingertips, you can instantaneously buy or sell shares, transfer funds between your trading account and bank account with click of a button. Just Think, can you do any other invest with such ease? It is even simpler than paying your bills online. 8. Regulatory Framework : Gone are the days of Harshad Mehta type scams in the stock market, which made investors vary of investing in the stock market. Over the years, organizations like SEBI have established stringent regulatory framework to protect the interest of investors. Investing in Stock Market today is one of the safest types of investment. We hope, that after going through the above, our friends who were hesitant of investing in the Stock Market, must have changed their perception on the same. Have a happy and profitable time investing!!! Pratyush is a Post Graduate in Marketing Management and has a leadership experience of nearly a decade in diversified industry including Stock Broking. Having headed companies for over half a decade, Pratyush brings with him, rich Marketing and....Pratyush is a Post Graduate in Marketing Management and has a leadership experience of nearly a decade in diversified industry including Stock Broking. Having headed companies for over half a decade, Pratyush brings with him, rich Marketing and Business Development experience and is instrumental in devising Social Media and Digital Marketing strategies and content for Moneypalm. Pratyush is always willing to experiment with new ideas and try unorthodox ways of marketing, promotion and business development.